The simple days of flippers and goggles are long gone when it comes to keeping kids busy in the pool. Now there are hundreds of choices, ranging from diving toys to giant inflatables and everything in between. In addition to being huge fun, many pool toys will help kids learn to swim and keep fit, and some might also improve their dexterity and flexibility. Pool toys can be found for children of all ages, starting from babies’ floats with sunshades. A popular choice is a type of inflatable seat which lets a baby or toddler kick their legs while being supported in the water. For older children there are ride-on toys that rock and have water guns attached, inflatable paddle wheels and seesaws, lounges, pool volleyball nets and basketball hoops, floating or poolside inflatable slides and even floating ping pong games. Pool noodles are an inexpensive favourite that can be used in a number of ways, and you can also get multi-person floating sofas – some with sun shades – for relaxing between games. 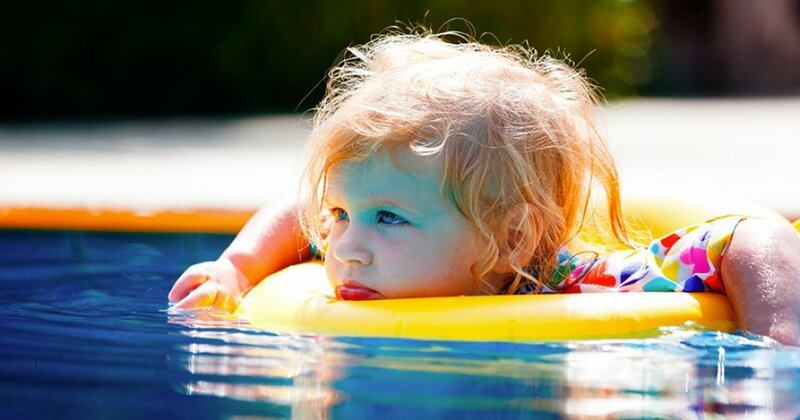 Some pool toys, such as a floating ring toss, involve more skill, while diving toys can improve kids’ confidence under water and also strengthen their lungs. Many of the toys and games can be competitive, which can amp up the fitness factor for all ages. And apart from all that entertainment, pool toys help children learn to swim and feel relaxed in the water. Whatever the child’s age, it’s important to check the age and weight specifications of a toy. They might float, but most would not qualify as a safety device so supervision remains vital. It’s a good idea to deflate toys and store them securely after use so they don’t present a temptation for young children. They’ll also last longer if they’re stored out of the sun.